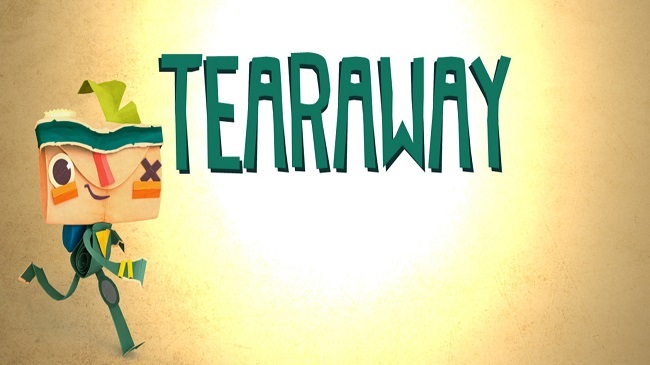 Tearway comes to us from Media Molecule, the studio that brought us the undeniably cute Sackboy – oh and a little game series called Little Big Planet. Following up one of these generations most celebrated releases can’t be an easy task. 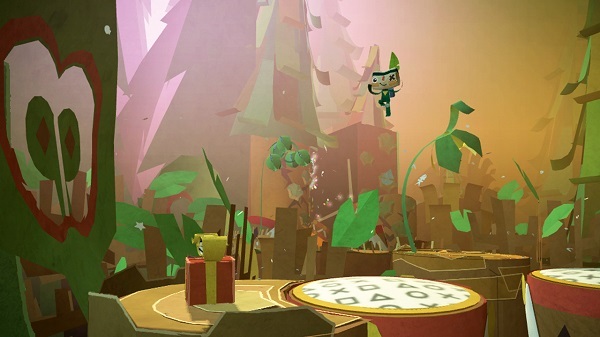 Media Molecule seems to have stepped up to the challenge though with Tearaway, a paper craft based platformer. Our time was generous with the demo build of Tearaway, so we got in a good thirty minutes or more of play. What strikes you first is the look of Tearaway. 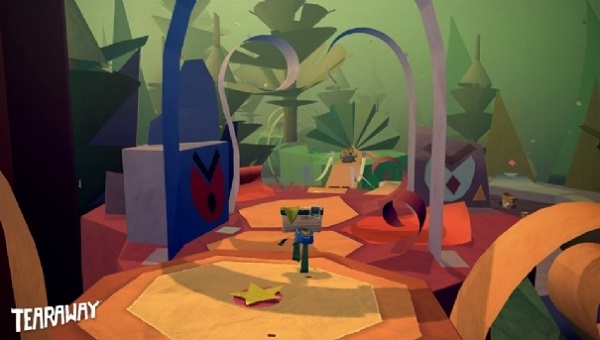 Whereas Little Big Planet used a real world object look, Tearaway opts for a wholesale paper craft look. Every object looks like it has been delicately folded from a piece of craft paper and placed in this 3D world. Controls are simple enough with you using the left analogue stick for movement. Initially you have no form of jump or attack. As you progress through the thoughtfully paced tutorial portion you are introduced to the concept of defending yourself against the little critters around the world. Simply wait for them to strike, dodge out of the way, pick them up and then hurl them to their doom. It’s simplistic sure, but it gets the job done with minimal fuss and works well. Now many Vita titles have tried to shoe-horn in use of the touch interface just for the sake of using the feature. Tearaway manages to put the front and back touch panels to good use, as well as find a viable use for the Vita’s front facing camera. Various objects around the world will use the front touch interface. You’ll find object that has two pull tabs either side. Simply slide out your fingers and you’ll open the object in question. The front facing camera use was neat – if a little creepy! Take a happy snap of your face (or any body part you want I suppose!) right at the start. It then appears in strange ways throughout the sequence we played. For instance your face appears in the middle of the paper craft sun – all a little reminiscent of the creepy sun baby from Telletubbies! Finally the rear touch – the much maligned rear touch I hasten to add! This is used for various things throughout the game. The few we got to try where pushing our virtual fingers through the bottom of the games paper flooring and playing the underside of a drum. These drums act as trampolines and help you traverse areas of the level we played. Simply stand on top of a drum skin, tap the rear touch and you play the drum once, causing your character to bounce high up in the air. It’s a very simple use but an effective and enjoyable one. 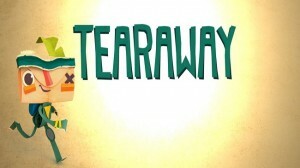 Tearaway is a neat title from a very creative team. It is clear to see how much love has been lavished over this paper world and its inhabitants. The game looks great and seemed a very natural fit for the Vita platform. Quirky things like designing your own crown, placing it on the squirrel king and then that appearing everytime to squirrel king appears screen just add to the appeal of the title. Not long to wait now as Tearaway is released on 22nd November in the EU and US and 3rd December in Japan.